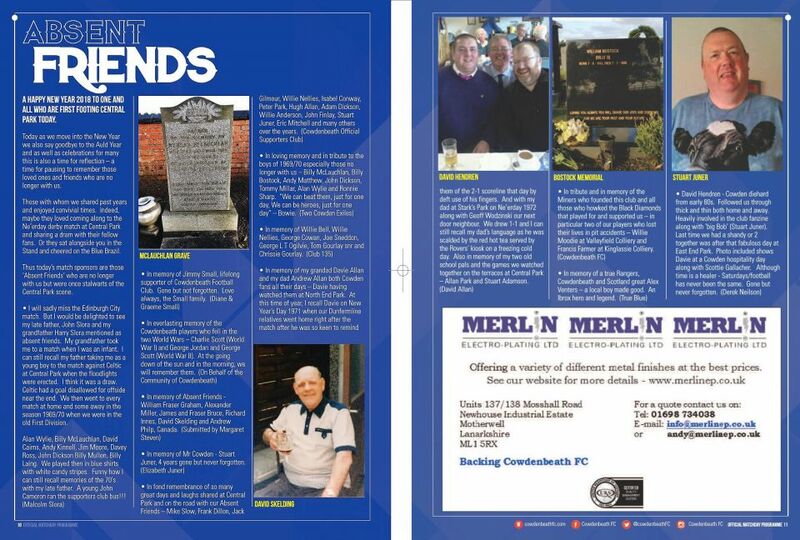 The matchday programme has been a feature at Central Park for over 70 years – at least since season 1946/47. 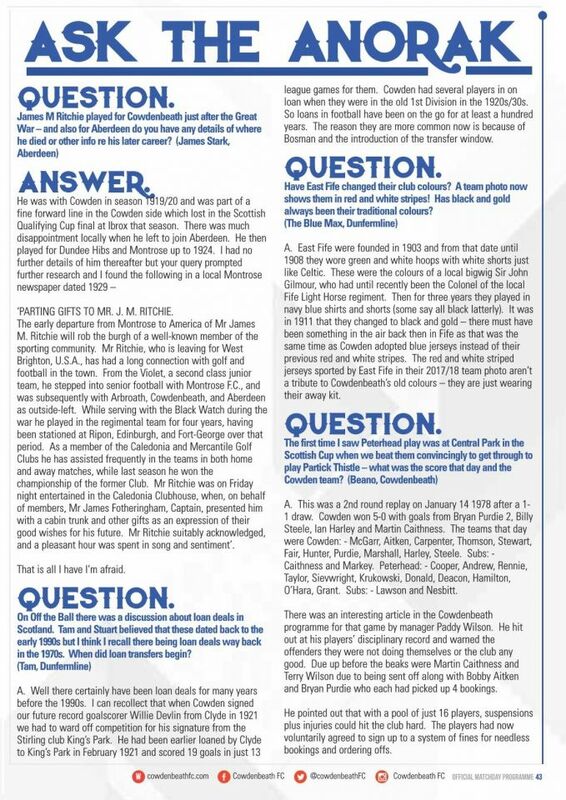 In 1949, the Cowdenbeath Football Gazette was launched and until 1956 this Bob Holman inspired and edited effort was a little gem. 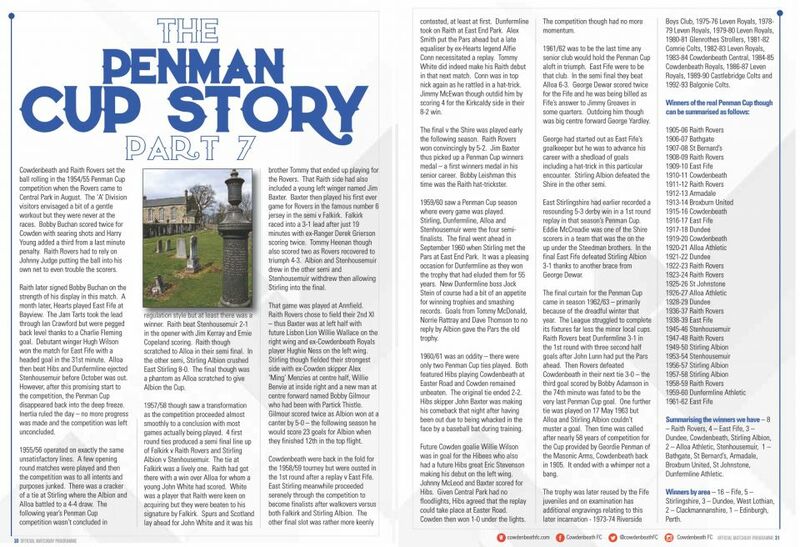 Newsagent Bill Pritchard published these at first and then Bob Holman became publisher as well. 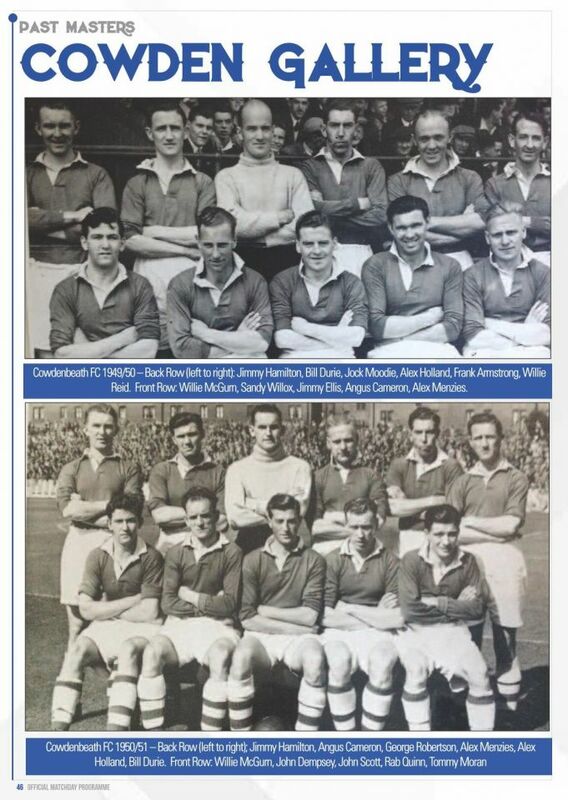 The 1956 to 1960 period saw Bob Holman still producing a match programme but it was not up to the standard of the earlier Gazette. 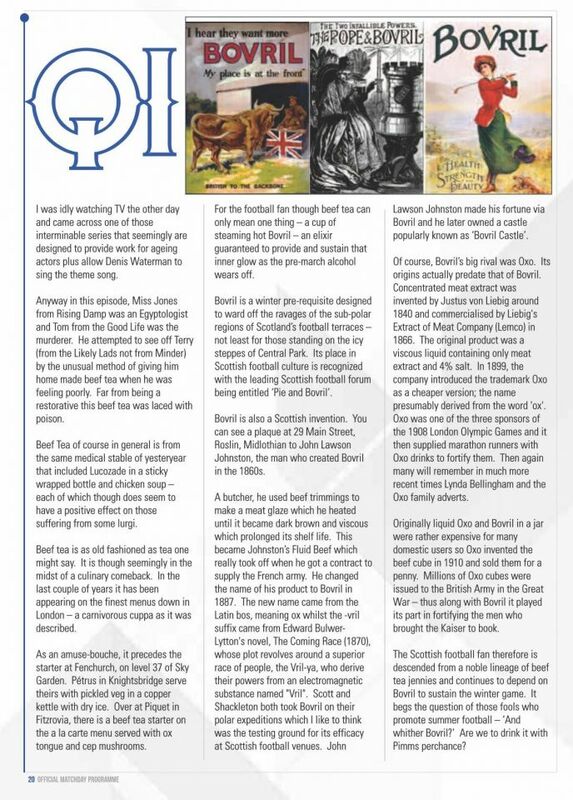 There was a hiatus from 1960 to 1968 when programmes were reintroduced by the Junior Supporters Club and then 1970 brought the advent of glossy programmes under the editorship of Dave Mason. 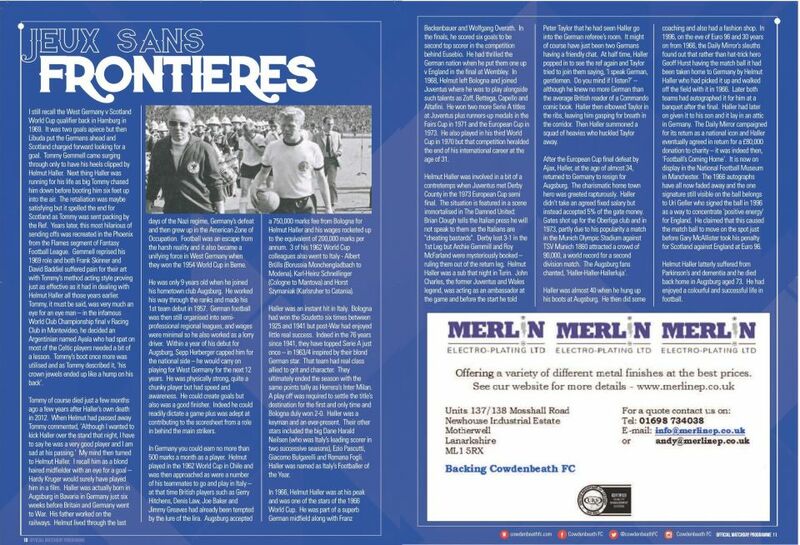 Alex Horsburgh, Rikki Raginia and John Mackay all had spells as programme editor thereafter before being succeeded by Andy Mullen in 1987. 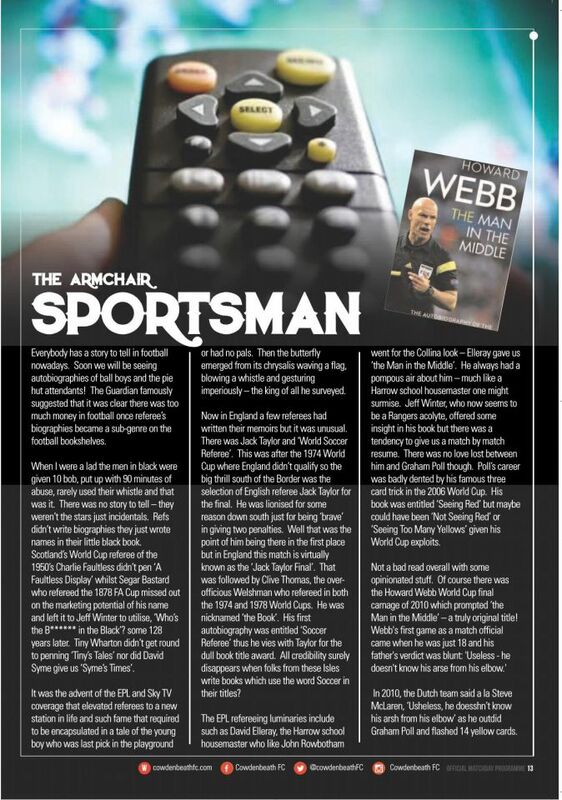 Andy has been at the helm now for over 30 years and was joined as co-editor by David Allan in 1992. 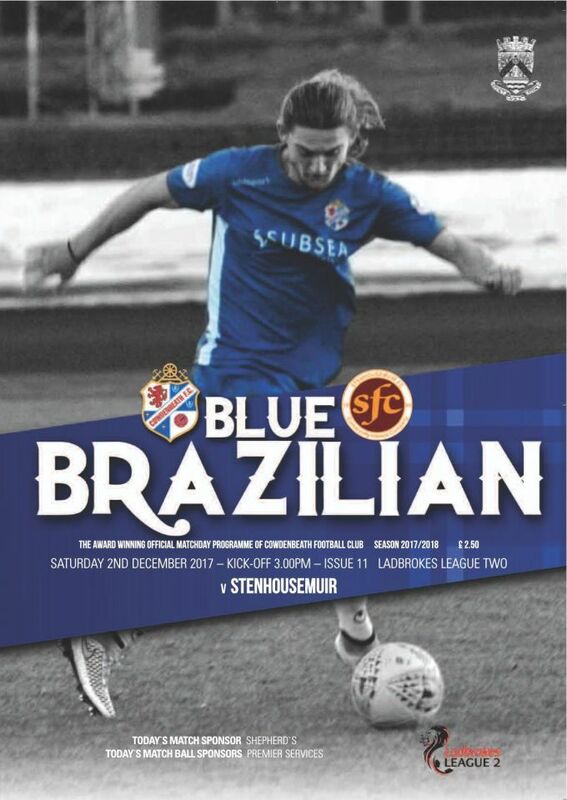 David and Andy still produce the club programme for each home match under the title – ‘the Blue Brazilian’. 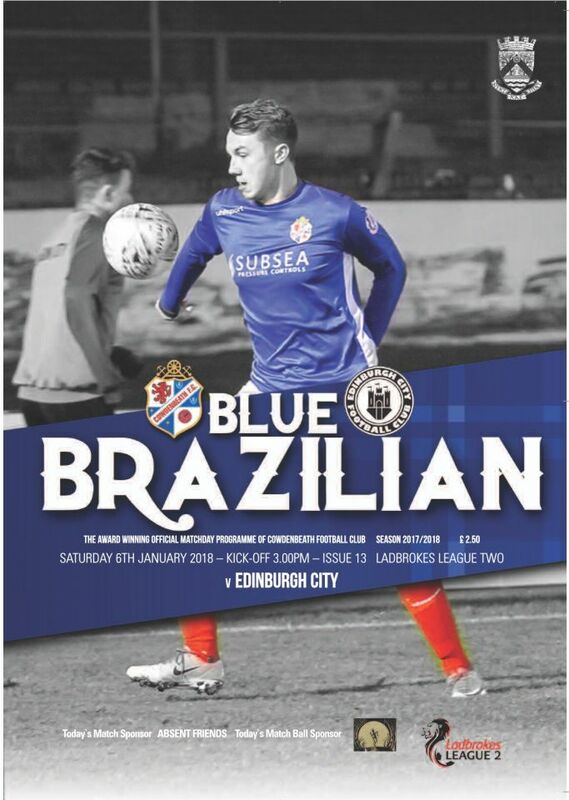 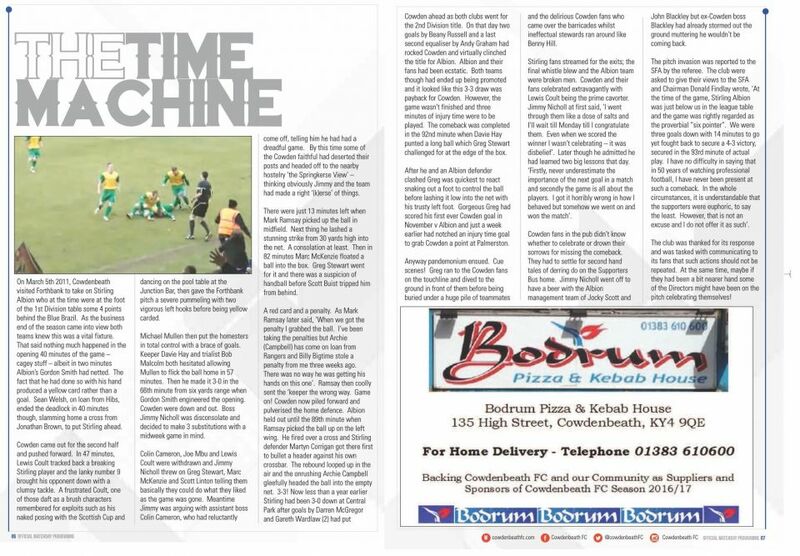 The Blue Brazilian is a 48 page full colour production and is renowned for its content which provides a detailed and in-depth coverage of Cowdenbeath FC and the whole football scene. 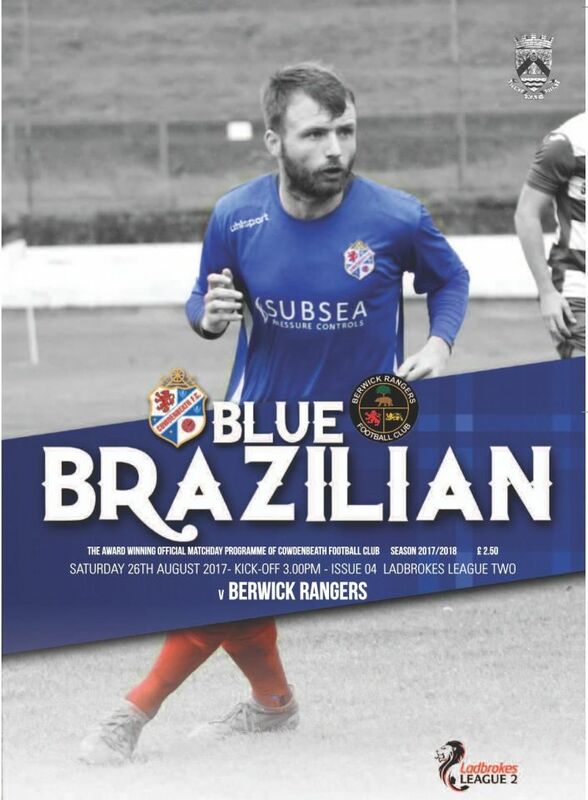 The Blue Brazilian has been recognised many times in the annual Scottish Programme awards organised by Programme Monthly - including the 1st Division Programme of the Season award for 2010/11 and the 2nd Division Programme of the Season award for 2011/12. 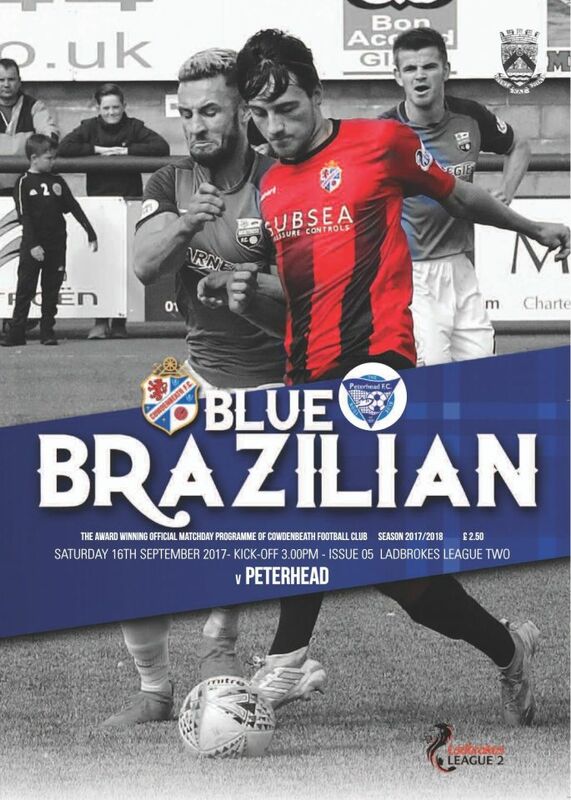 Last year, the Blue Brazilian won the League 2 accolade as ‘Programme of the Year’. 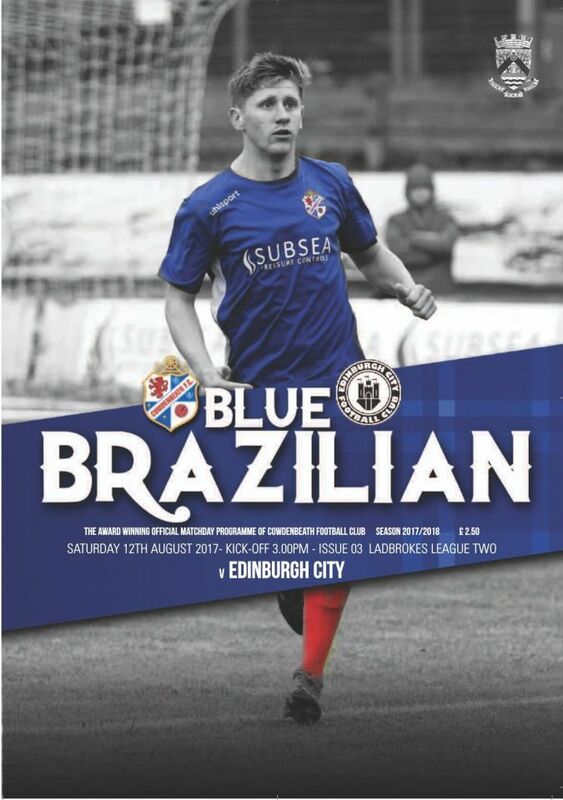 Make sure you get your copy on matchdays at Central Park. 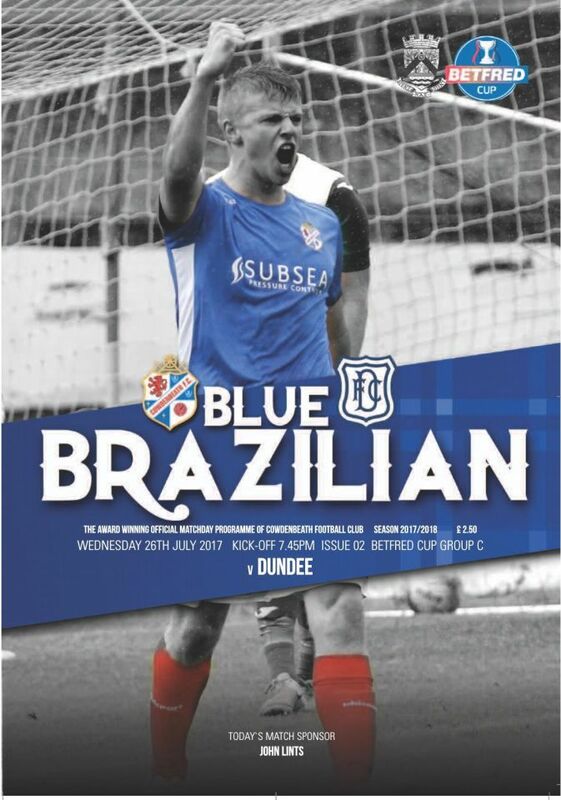 On sale prior to kick-off just inside the turnstiles at the very reasonable cost of £2.50.